Join our diverse academic community for a year of challenges and collaborations that will help you change and shape your career trajectory. Our students are driven designers, architects, visual and fine artists, performing artists, writers and others who work in the creative and cultural industries. Our faculty members are a lively mix of management specialists and creatives. All of us are passionate about doing work that has a real impact on society. The interdisciplinary Master of Science in Management and Entrepreneurship in the Creative Economy is built around the unique learning styles and goals of creative people like you. Designed and taught by Audencia Business School and The Glasgow School of Art’s Innovation School, each module has been created specifically for this programme and integrates a creative mix of teaching and learning methods for both business and arts/design education. The programme is accredited by the French accrediting body "Conférence des grandes écoles". If you have a 4-year bachelor’s degree, you can skip this stage and dive into your core MSc programme. For those with a 3-year bachelor’s degree in a non-business field, the Pre-MSc is the opportunity to gain a solid understanding of the foundational principles of management, improve your soft skills, learn how to work in multicultural teams and acquire knowledge on latest business innovations. During this year, you will study 8 core business courses that will allow you to acquire a solid foundation for your future MSc programme. You will explore each subject in depth and test your knowledge through extensive business simulations. To help you improve your soft skills, you will follow courses in “Working in Multicultural Teams”, “Learning Skills and Methods” and the “Future of Work” (proposed by field experts and co-constructed with students). In addition, you will get a glimpse of innovation in business today through your choice of several courses on our list of business electives. To round your year off nicely, you will benefit from business English or French language courses. For those with a 3-year bachelor’s degree in the field of business, the Pre-MSc will allow you to deepen your business knowledge, improve your soft skills, learn how to work in multicultural teams and acquire knowledge on latest business innovations. Shaping a creative career is an ongoing process which requires the will and ability to keep learning and re-skilling, a good knowledge of yourself and your values and a set of practical tools that will help to enhance your career. This module will mark the start of your journey to design a creative career that is sustainable, enjoyable and fulfilling. This is where you and your peers will lay the groundwork for your learning, as students coming from a wide range of disciplines and countries. You’ll adapt to playing an active role and taking responsibility for your own learning, co-creating your learning experience with your diverse group of peers. Creative professionals have to adapt very quickly to changes, retrain accordingly and be alert to new opportunities in the creative economy. Success requires lifelong learning in your creative area, as well as an entrepreneurial approach in the management of your career. Considering your own career and projects in the creative economy, you’ll work together with a coach to determine why you do what you do and how to take the steps you need to have the career you really want. You’ll build and sharpen a range of practical skills such as the art of networking and personal branding. Learn what it really means to be a part of the creative economy. Mapping the Creative Economy offers an overview of the development of the cultural and creative industries and their relationship to the creative economy. You’ll learn about important challenges the industries face, such as technological, legal and economic – and the policies adopted to meet those challenges. The process of mapping will give you a basis for understanding policy formulation and provide you with valuable data for creating strategies. It will also help you create networks of cultural and creative institutions, organisations and leaders involved in your mapping work. Through mapping, you’ll develop skills in collecting primary and secondary data and use various techniques to visualise and disseminate it. Review core management principles before exploring how some of them are being questioned, revised and adapted to fit an ever-changing business environment. Study how creative organisations manage their creativity and what the role of the creative leader is, also learning about cross innovation. Learn how organisations cultivate artful and creative ways to help reimagine their role, their relationships and themselves for a sustainable future. Understand project management specific to creative practitioners. Learn the methods and skills to lead your project to success. 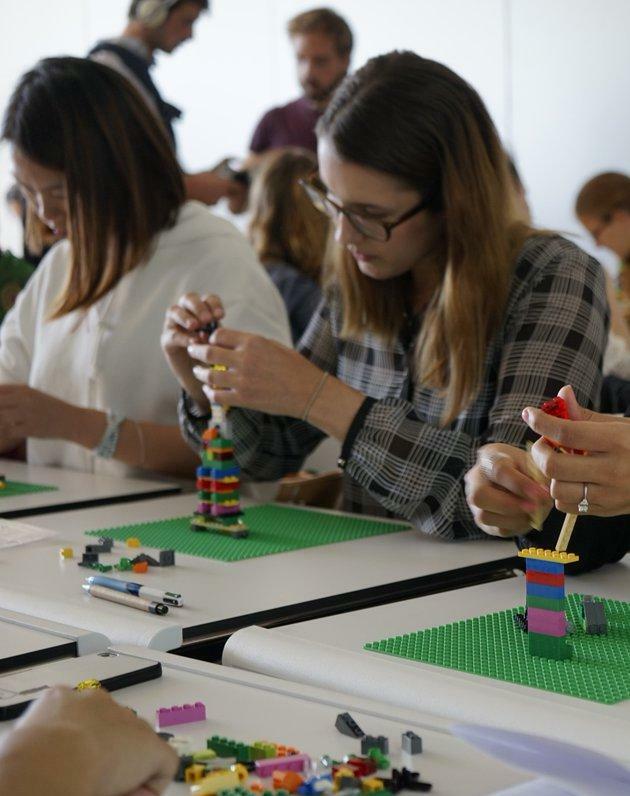 Building skills to act as bridge between the worlds of creativity and business, you’ll work on a real-life collaborative project where you and your peers will be faced with design, managerial and entrepreneurial challenges. You’ll learn by doing – working together with a diverse group of students, industry professionals and academic staff. This experiential work will serve to further develop your career project, as well as help you internalise core entrepreneurial skills and knowledge in an authentic way. Here, you can make mistakes and learn from them in a safe environment. To have knowledge is a good thing – but to spread it is even more rewarding. During this period, you will be asked to increase societal awareness of the possibilities within the creative economy. How you communicate your knowledge about the creative economy is up to you: conference, digital project, charity work, radio programme, etc. Get creative and begin establishing yourself as a subject-matter expert. This is your time to explore further. Showcase what you’ve learnt through a master’s dissertation (also known as a “thesis” in the US) or an internship-based report. While your programme is 100% English-taught, you have the option of adding French to your steadily increasing list of qualifications – for work or for fun! Prepare French Language Certificates: Audencia’s French language classes do not prepare you for French language tests such as the DELF or DALF. However, our main campus is situated just across the road from the University of Nantes’ language department. You may choose to attend French as a Foreign Language (FLE) evening classes there. There are a wide range of levels available. Contact the University of Nantes directly to register. Register early to secure your place. Designing Today will help you develop a critical appreciation of the role of design practice and of designers as drivers of social, economic and organisational change. Your final project will be an exhibition. 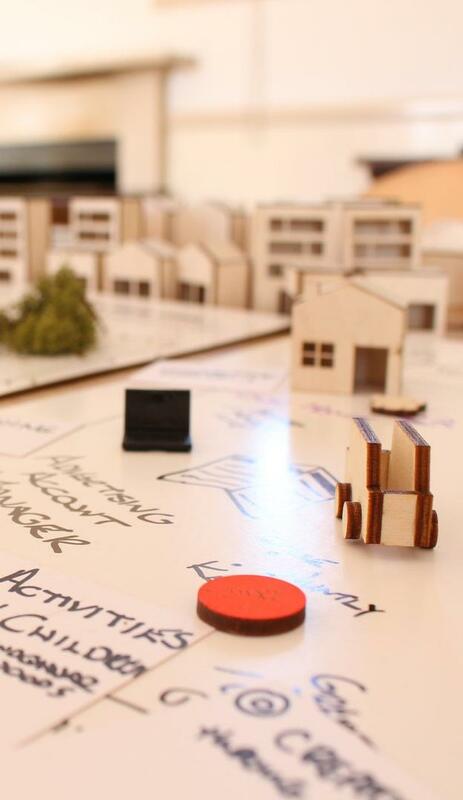 Within Designing Research, you’ll develop an understanding of user-centred design as an ethnographic and engagement-led process of iterative development built upon collaborative working practices and creative refinement and resolution that responds to a variety of contexts. You’ll be evaluated via a project process journal and reflective writing. From Idea to Application will help you internalise design practice as the material manifestation and evolution of value propositions. You’ll move from collaborative concept generation to product proposal, refinement and validation as understood across a variety of value regimes: manufacture and supply chain, branding and communication, user experience, etc. The focus will be on the blend of industrial and digital artefacts, experience of use and the cognitive and narrative dimensions of innovative products and their collaborative production. You’ll be evaluated through a project presentation and exhibition. Led by The Innovation School, the Winter School is an exemplar of our progressive teaching style and offers a method of research and learning that is both bespoke and distinct. The Winter School brings together international students and academics to fashion a new role for design in the exploration of a contemporary challenge during an intense two-week period. Leading design academics and students from Köln International School of Design (KISD) and Copenhagen’s KADK (The Royal Danish Academy of Fine Arts, Schools of Architecture, Design and Conservation) will join students and academics of the GSA, Audencia and other institutions from around the globe, forming an international network of diverse disciplines. This component of the course offers a unique opportunity to examine current issues in a transcultural environment at the GSA’s stunning new campus in the Highlands and Islands of Scotland. Research and teaching carried out during the Winter School benefit organisations and communities as well as students. Your project is the culmination of your programme experience and the most ambitious expression of your individual motivation, creativity and ability to deliver. It can take the shape of a research project or a consulting project done during an optional internship. You will conduct secondary research, but great value will also be placed on your own primary research efforts. Through this project, you’ll gain knowledge about a particular issue or problem in the creative economy while showing that you can design, conduct and report on a piece of practice-related research that combines regard for the norms of academic research methods and rigour with practical recommendations. Throughout the programme, you will attend a series of research workshops central to developing your proposal and laying firm foundations for effective research. You will be matched with a supervisor who will provide personal guidance throughout the life of your project. You will have tutorials with your supervisor, but the bulk of your work will be self-managed. Your project is a substantial piece of individual work that requires extensive initiative and independent learning. Your research or consulting project will consist of a proposal and final presentation. While the bulk of your master’s dissertation (also known as a “thesis” in the US) will be in written form, you have the option (upon discussion with your supervisor) of substituting up to one-third of the dissertation with an alternative medium: film, video, musical extract, poem, story, etc. You’ll secure your internship or professional mission with a company of your choice anywhere in the world (with the assistance of our career advisors). This mandatory internship will be guided by a faculty member, so you’ll gain both a hands-on practical understanding and an academic one – something that looks good on any resume. Internships in France are paid; this will vary from country to country, depending on local laws. Apply your knowledge and skills within your sector, and further strengthen your network and employability. 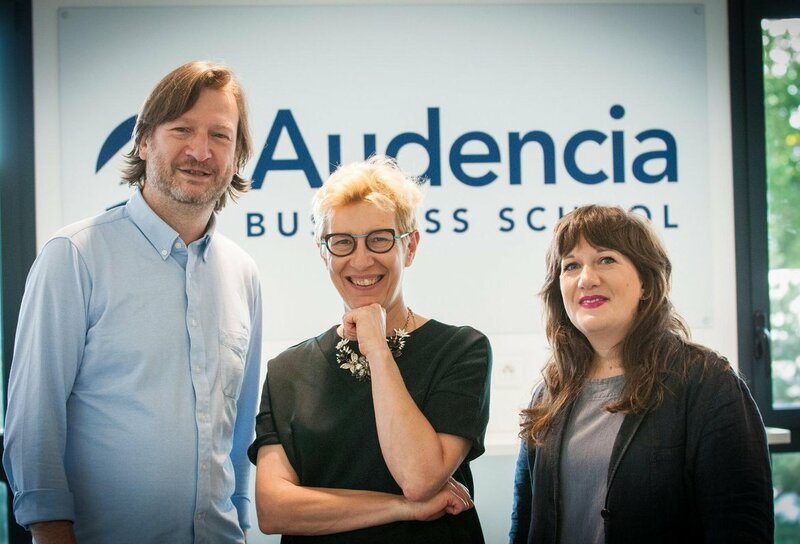 Rather than putting pre-existing management and creative classes on a schedule to form a so-called “new” programme, Audencia and the GSA’s Innovation School have jointly designed a customised programme of classes and projects that respond to emerging trends, circumstances and opportunities within the global creative economy. Every aspect of the programme combines learning in business and management with creative processes and people. The programme is located in Nantes, France, but the GSA faculty members teach one-third of the classes – and the two-week International Winter School, which brings international design schools together in Scotland, is a highlight of the programme. Audencia is amongst the elite 1% of business schools worldwide to hold triple accreditation from EQUIS, AACSB and AMBA. A world leader in corporate social responsibility, we were the first French business school to adhere to the UN’s Global Compact and sign the Principles of Responsible Management Education, which we also helped define. We bridge the gap between passion and business, pairing creativity with meaningful action. Learn about our business incubator and our artistic incubator to see how we support creative entrepreneurs. Our strong partnerships with institutions like the Nantes School of Art and the Nantes School of Architecture contribute to the creative atmosphere here. We’ve formed an alliance with other leading institutions in Nantes to unite and enrich engineering, management, architecture and creativity. Through our network, you’ll work with faculty members who have extensive industry experience, researchers who specialise in a diverse range of fields and corporate and creative partners in need of real solutions. Ranked in the top 20 schools for art and design globally, the GSA's Innovation School is a creative collective of researchers, teaching faculty members and master’s and doctoral students. Together, we address complex issues through innovative design practices and customised community engagement to help improve individual and collective well-being. Our core expertise is the development and expression of collaborative creativity. We co-create new products, systems and services for a preferable future, as well as develop the capabilities needed to realise and sustain that innovation. In other words, we develop creative communities to effect transformational change. The Innovation School’s partnership with Highlands and Islands Enterprise complements the programme, giving you access to innovative creative industry projects in the region. The GSA also operates a campus in Singapore in partnership with the Singapore Institute of Technology, with teaching and research focused on design’s role in the changing and culturally diverse economic environment. The MSc in Management and Entrepreneurship in the Creative Economy is an alternative to an MBA or MFA programme. It offers you a uniquely creative culture with a degree from a respected and socially responsible business and management school. You’ll meet imaginative and motivated people from across the globe whose primary goal is to move the creative and cultural industries forward. 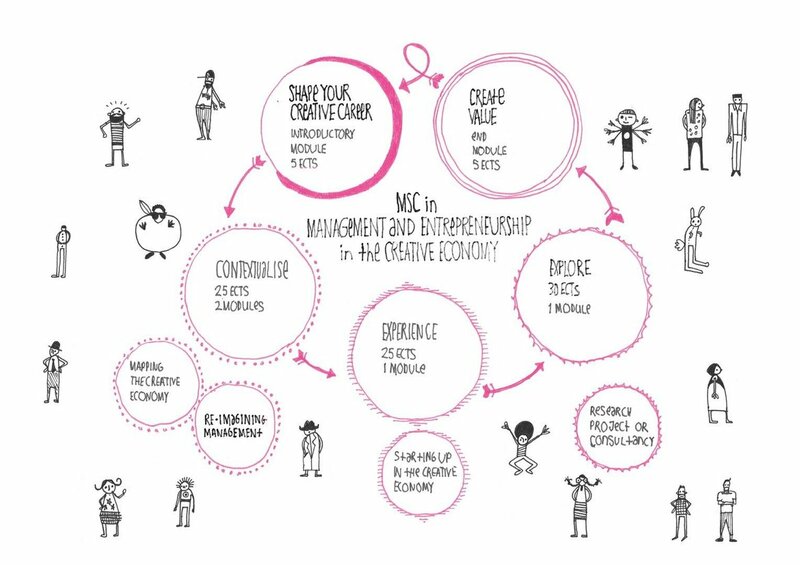 Unlike an MBA programme, the MSc in Management and Entrepreneurship in the Creative Economy gives you an international network of creative people inspired to help make, write, build, develop and perform in new and exciting ways. 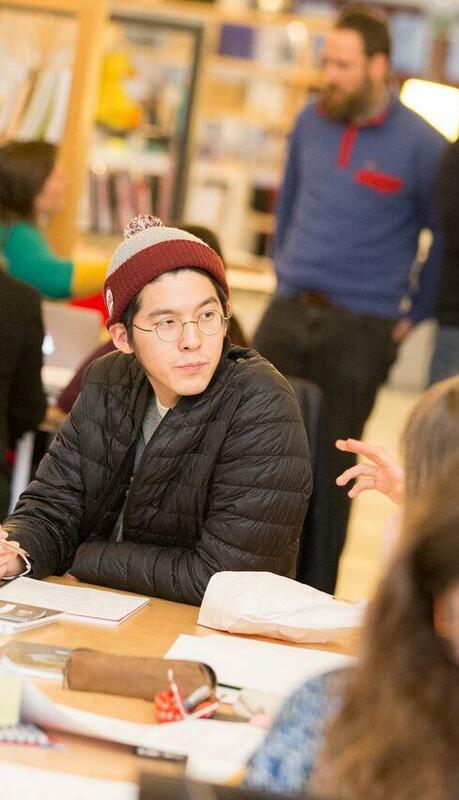 Unlike an MFA programme, your classmates will be from a diverse range of creative backgrounds. Instead of a room full of graphic designers, for example, in each class you’ll collaborate with musicians, digital artists, fashion designers, photographers, writers, architects and more. This wide-ranging network is more reflective of who you’ll work with throughout your career in the creative industries. Business and management skills will help you make more of your talent and better support the cultural and creative industries you care about. This doesn’t mean that you have to suffer through a rigid business and management programme. "The design studio provides a context where visible thinking becomes 'visible learning' for others. The studio is socially and aesthetically immersive – a changing environment where ideas, thoughts and models are created and shared. The environment is messy, rich and stimulating. "In other words, it is like the real world. It is not at all like the 'paperless office', the permanently clean desk, or the knowledge-management system in a computer database. The 'database' for the artist and designer is the physical and cultural environment, and the creative processes in the design studio reflect and affect the 'actual studio' of the real world." For most of your programme, you’ll be on Audencia's Media Campus in Nantes, France. Nestled in the picturesque Loire Valley, Nantes is known for both its innovative community and its quality of life. Traditional vineyards and contemporary art installations, lazy river boats and booming industry – Nantes is a thriving modern city with old-world flair. And as the third-largest city of industry in France, with close proximity to Paris, Nantes offers a wealth of opportunities. Learn about student life at Audencia. During the two-week International Winter School at the GSA’s Innovation School, you’ll join an even more diverse group of international peers in Scotland. You’ll live and practise true collaborative creativity in the new Creative Campus within the romantic, natural setting of the Highlands and Islands of Scotland. Classically beautiful Italianate buildings (built circa 1830) now provide inspiring studio, workshop and exhibition space, as well as state-of-the-art areas for research, teaching, prototyping and flexible lab work. Live at the doorstep of rolling countryside, beautiful beaches and dramatic mountain landscapes while connecting with a new set of potential work and internship opportunities with the GSA partners such as Highlands and Islands Enterprise. Audencia is among the elite 1% of business schools to hold triple accreditation from EQUIS, AACSB and AMBA. Our strong international partnerships serve as the foundation of your programme. You’ll work with faculty members who have extensive industry experience, researchers who specialise in the field, and corporate partners within the creative economy. The MSc in Management and Entrepreneurship in the Creative Economy is supported by Ubisoft, a leading global creator, publisher and distributor of interactive entertainment and services and Scintillo, an innovative holding of cultural and creative organisations in Paris. Learn from and connect with industry experts from Ubisoft and other companies, building a network of industry contacts for your future career. Teaching faculty members come from Audencia and the GSA. You’ll be working with experts in business and management as well as design and collaborative creativity. Your programme was designed through the cooperation of three key faculty members at Audencia Business School and The Glasgow School of Art. Catherine is Associate Professor in Marketing with a specialisation in the marketing of the arts. Her PhD was on the subject of corporate support of the arts. She has taught in various higher education institutions, both in the UK (Strathclyde University, Sheffield Hallam University, Sotheby’s Institute of Art and Kingston University) and in France. Catherine’s research takes as its overarching theme the links between commerce and the arts. Within this broad category, she has three main interests: the relationships between business organisations and the arts, the art market and its intermediaries and the artist as a cultural entrepreneur. Joe’s eclectic career includes more than 20 years of experience in business start-up, expansion and strategic change management, including strategic partnerships within the creative industries in international markets. His expertise is in designing new ventures, identifying creative connections and giving form to effective partnerships. Joe has adapted these capabilities to develop new research and teaching ventures through partnership with higher education institutions. This context has allowed Joe to actively develop and contribute to strategic networks in industry, public sector and government on innovation and enterprise, with a focus on imaginative interaction between education and the economy. In addition, it has enabled him to direct award-winning programmes of work in practice-led innovation, thereby allowing Joe to follow his passion for exploring how businesses and organisations can “create a culture of innovation” and design radical new ways of working. Gordon has headed up the Product Design Department at The Glasgow School of Art since 2007 and has helped steer the emergence of design innovation as a subject of academic study at the master’s level, incorporating service design, citizenship, environmental design and international management. Gordon also supervises a variety of doctoral research projects. He was recently appointed Deputy Director of The Innovation School. Gordon is a sociologist operating within the domain of design and is interested in the relationship between social theory and design practice, particularly the interaction with and consumption of designed products in contemporary society. This includes social change, technological innovation and changes in design process, specifically the interaction between human beings and designed products (artefacts, services or experiences). Gordon is interested in the emerging field of social design and works with international collaborators in this area. Social design seeks to marry the investigative approaches of social science, the creative capacity of design practice and an awareness of regimes of value in an attempt to improve the quality of life for individuals, groups and communities. Faculty members at Audencia are incredibly diverse, with 40% of professors representing 22 countries outside of France. Many have backgrounds in industry; their work is published in internationally recognised academic journals and business publications and they regularly act as consultants to a wide range of business entities, including start-ups, non-profits, NGOs, SMEs and multinational corporations. All faculty members work within the frame of corporate social responsibility (CSR), advancing responsible best practices for the business world. Areas of expertise are many and typically fall into one or more of the following research departments: Business and Society, Communication and Culture, Finance, Management, Marketing. The GSA’s Innovation School faculty members come from a wide range of backgrounds within the creative and cultural industries. Examples include those who have worked in the film industry in Germany, for internationally recognised fashion designers such as Paul Smith and in advanced research teams for information tech companies like Nokia – everything from small-scale cultural organisations to multinational tech companies. The creative and cultural industries (CCIs) have shown exceptional resilience to economic crisis and are well-placed to grow further in future due to their role as forerunners in the creative economy. This programme is vitally relevant to the careers of creative people. It prepares you for a number of career paths within the creative and cultural industries and the creative economy, including solo practitioner and entrepreneur, as well as roles within a larger institution, organisation or company. Note: Statistics are based on the number of replies to the question. They relate to all classes to date unless otherwise stipulated. Approximately half of all creative jobs are also found outside the creative and cultural industries. 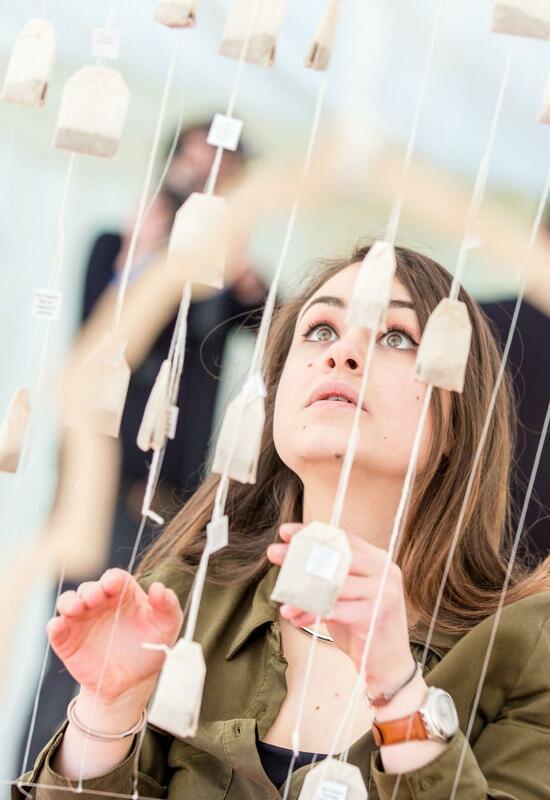 Since the MSc in Management and Entrepreneurship in the Creative Economy requires a creative background, you’ll form a global network of designers, architects, artists, musicians, actors, writers and others working in the creative industries. You’ll also meet and work with creative professionals involved in contemporary practice and managing the creative process in a range of other industries. A roster of guest speakers and industry partners will contribute to your learning and assessment activities. This offers you the chance to network with industry professionals and meet potential role models and mentors throughout your stays in France and Scotland. Throughout your programme and after graduation, you’ll have access to the large, international, professional network of Audencia’s Career Services Department. Audencia also has a business incubator available to programme graduates interested in pursuing entrepreneurial goals. Join more than 24,000 Audencia Business School alumni working across the globe. Audencia Alumni includes 200+ communities in cities such as London, New York and Shanghai. Notably, Audencia is a member of the prestigious Culture & Management Club in France. Furthermore, over 2,000 of our alumni have become CEOs. The alumni association will help you connect with other professionals and provide additional development and networking opportunities to support your career. Join us! Here is a breakdown of everything you’ll need to make it smoothly through the application process. Admissions are open until the programme is full; however, we strongly recommend applying by the early-application deadline of 31 January. Note: you can apply during the last year of your bachelor’s studies. Admissions are based on a point system tied to a set of objective criteria. We award bonus points for ranked and accredited schools, diversity and high GMAT or GRE scores. You may begin your online application any time; you can save it and make changes before submitting. *English test scores are not required for native speakers or applicants who have completed their undergraduate degrees in English. Contact us if you have a different English test score or are planning to take a test later in the year. Complete the online application (recommended by 31 January). Upon completion, you’ll pay the €100 application fee using any major credit card. If you cannot use a credit card, you may contact the Office of International Relations for alternatives. Your application will be evaluated within seven days. If you qualify, step two will also occur within seven days of your application. At a prearranged time, you will have a 15 - 20-minute exchange with an admissions counsellor to assess your level of English and make sure that you are a good fit for the programme. Admission decisions are made on a rolling basis. You should have a decision immediately following your interview. If your application is borderline and requires further review by the programme director, you will have an admission decision within 18 days of your interview. Please do expect some delay during holidays. Congratulations! If admitted, you’re invited to officially join the programme. You’ll sign a contract and pay the first instalment of the tuition fees- €1,500- which is non-refundable. Please contact our admissions office with further questions. Compulsory registration with the student social security system (students under 28 years of age): As an example, the total for 2016/2017 was €215. The fee must be paid at the latest on the first day of the first school year, and for subsequent years before 30 September. Costs such as visa fees, transportation, accommodation and meals are to be paid directly by the student. Visit Student Life to learn more. Audencia’s commitment to excellence and diversity is shown through the variety of scholarships we give out each year to students of merit from different backgrounds. Our aim is to open up the best business education to students who show the skill and motivation to be the leaders of tomorrow. 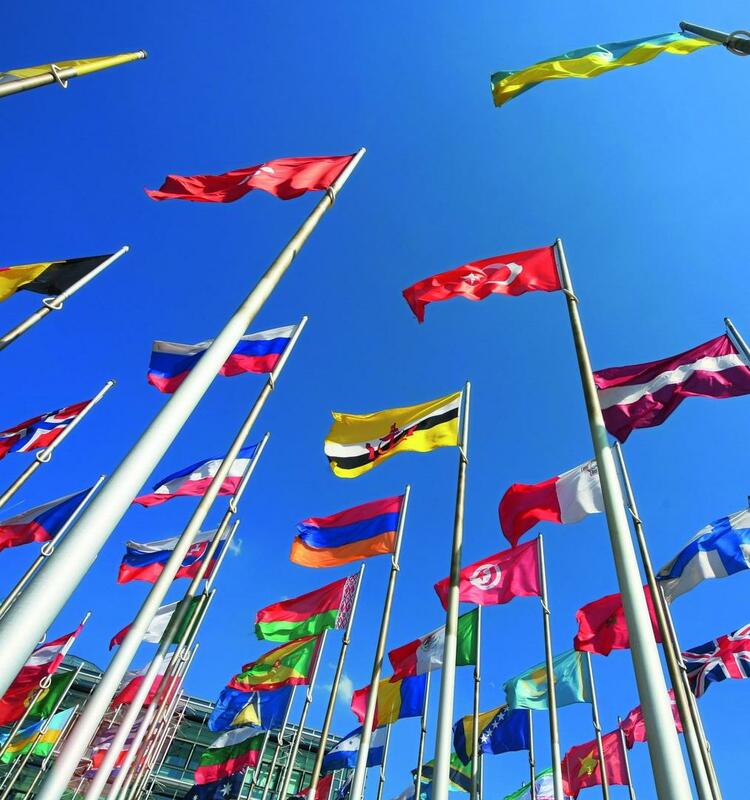 Nationality-based scholarship for underrepresented countries or regions. *The awarding of scholarships is subject to availability of funds and final decision from the Office of International Relations. Scholarships are awarded in the form of partial tuition fee waivers to students who are admitted but who have not yet started the programmes. Scholarships, waivers and awards are not cumulative. If two are awarded to the same student, only the one with the highest amount will be kept unless otherwise stated. In addition to an Audencia scholarship, you may be eligible for funding by other public or private bodies. You will find some examples here. Ubisoft is pleased to be associated with teaching and research projects within the MSc in Management and Entrepreneurship in the Creative Economy programme at Audencia. We have only praise for this programme, which trains managers to develop hybrid skills and understand the economic challenges within the creative and cultural Industries (CCI) at a local and global level. As a result of this cross-disciplinary study, graduates will work at the crossroads of technical, commercial and creative roles. This function is essential within CCIs, and to both SMEs and global leaders like Ubisoft. "Being able to be part of the first MECE intake was challenging as well as exciting. The programme was full of knowledge and insights into the creative economy and provided me with the right connections for obtaining my internship at Trempolino (a cultural organisation in Nantes within the music sector). At Trempolino, I am working on the European project called the European Music Incubator. This is exactly the kind of project I had in mind when signing up for the programme. The MECE did a great job at preparing me for working in an international setting."